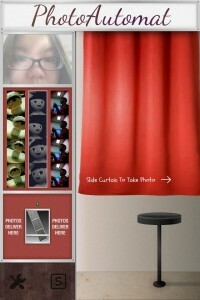 Photoautomat (Free) by Stepcase is a simple photo booth app for your iPhone. 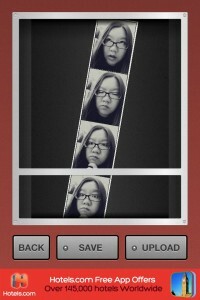 It seems that we just can’t have enough apps that allow us to take fun photos. 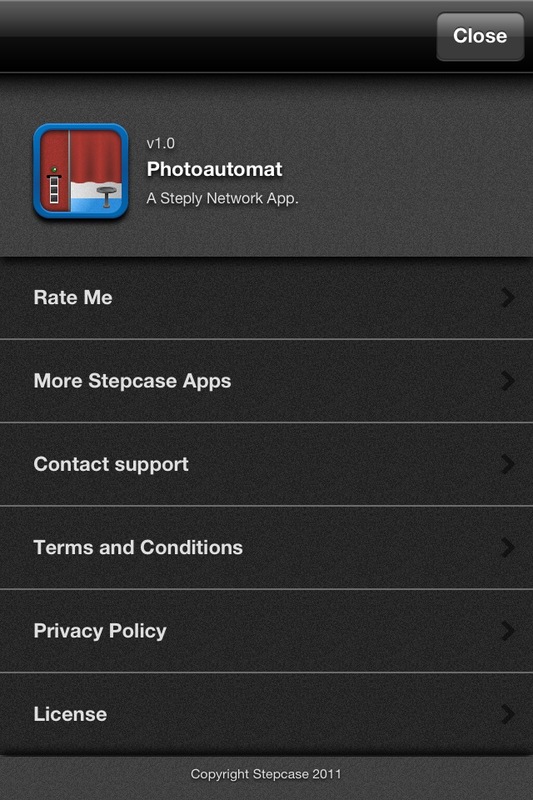 While we already have apps likeIncredibooth and Pocketbooth, Stepcase has stepped in with their own entry in the market. On launch, you’ll get a beautiful main screen that tries to mimic the actual photo booth experience. You’ll see a small preview of what the front-facing camera is seeing in the corner, with a preview of the different film styles used underneath this preview. Finished photo strips will be “delivered” into the box underneath the film styles, and on the right will be a curtain that you slide to take photos. Since Stepcase also has their own social network to share photos, you can log in to your Steply account (or create a free account) by tapping on the “S” at the bottom of the left pane. I wish that the developers added a bit more contrast to that and the settings button, since they both are dark and blend in very well to the faux wooden background.When you go in to the photo taking mode, you get a screen that features a viewfinder in the middle, along with eye level indicators to let you know where your eyes should be lining up. 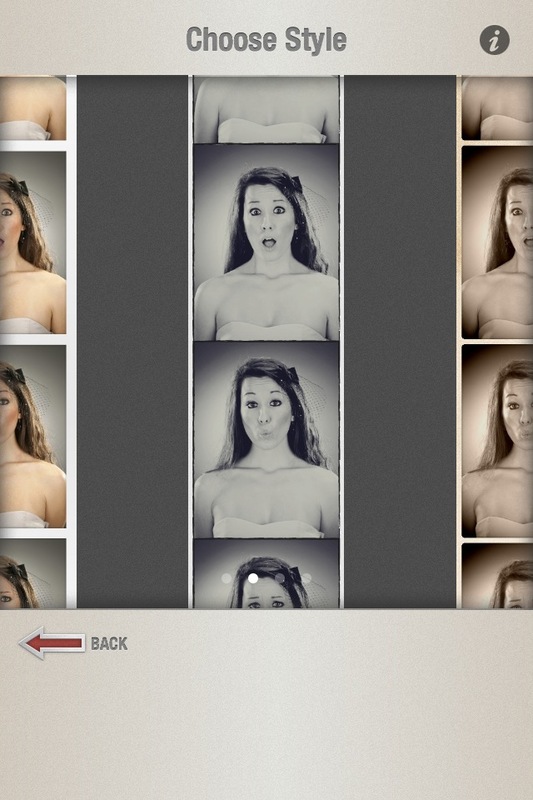 To capture the images, just tap on “Start,” which will trigger the app to snap four photos in quick succession. This was the part of the app that I did not care for too much. When you hit Start, there is no visual or audio indicator of when the app begins taking photos. 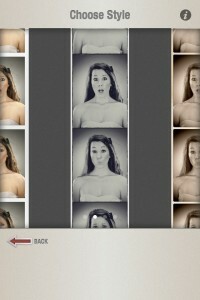 You’ll only know when you see the first flash on the screen to indicate the first photo has been taken. Another thing is the fact that there is little delay between snaps — I tried to quickly do a different pose, but sometimes the app would catch me blinking instead. 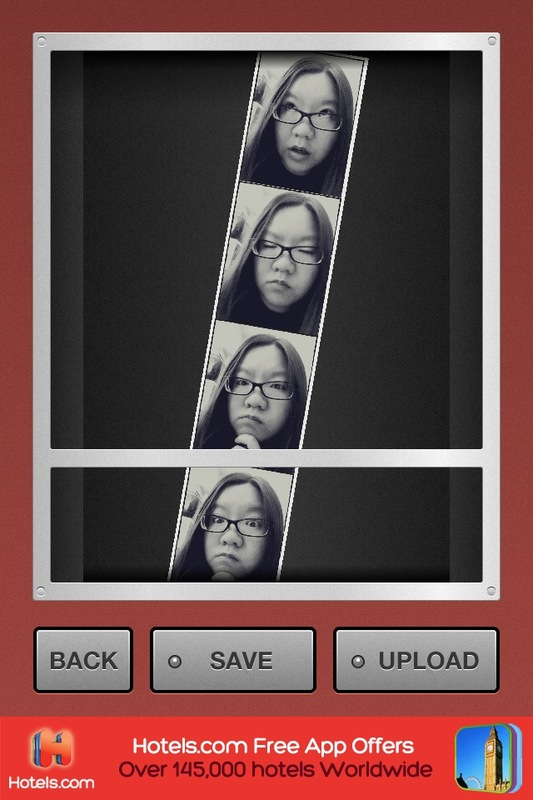 This is frustrating for a photo booth app, especially when the competition have indicators and more delay in between shots so you have more time to prepare the next silly pose. 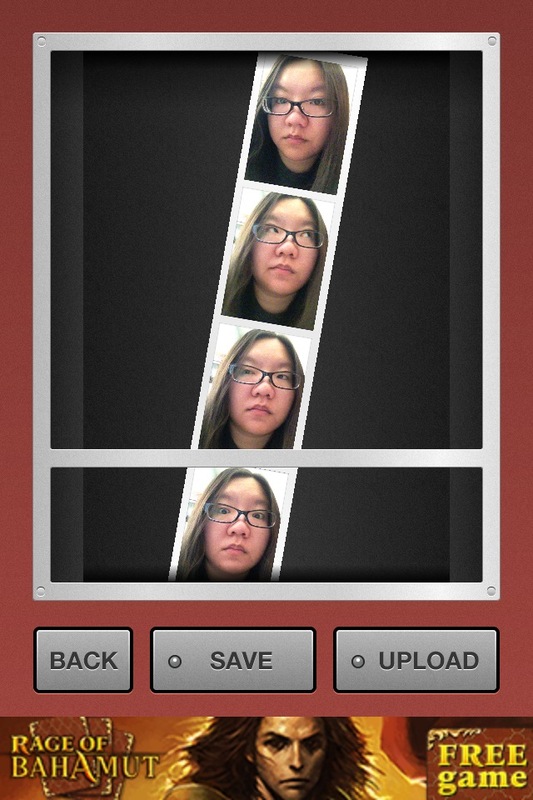 When you are done with the four shots, the app will deliver them to you in a photo strip. You can then save it or upload it to the Steply network, or go back and take another series of captures. Unfortunately, there is no way to share to another social network, such as Twitter or Facebook, directly from the app. I believe this is done to promote the Steply network. Remember when I mentioned that there were other different film styles? You can switch between the four different films at any time, but it’s not done in an intuitive way. Rather than have the option to change the film on the screen where you take the photo, you have to go back to the main screen and tap on the settings button, which is in the very bottom left corner. From there, you are able to see a preview of what the film will look like, and select it. 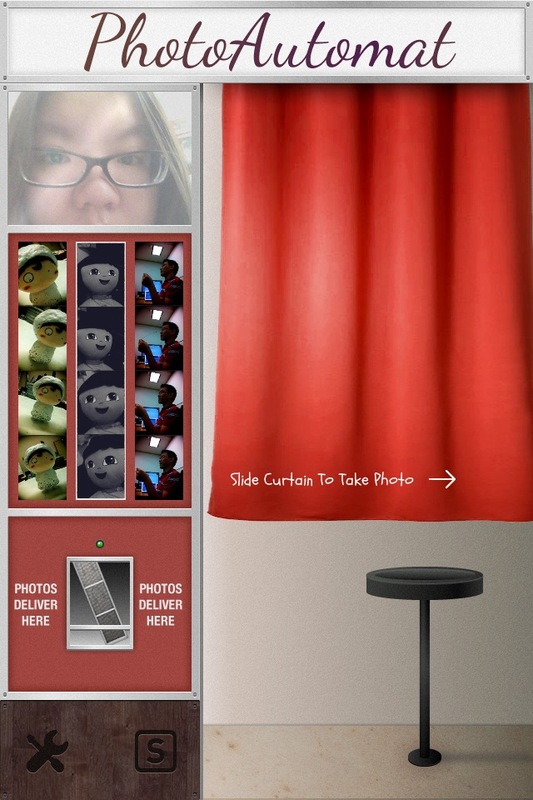 Then swipe on the curtain to enter the booth again with that film.It’s a rather annoying and tedious way to do this, especially when compared to other apps, which may feature a dial on the camera screen that allows for easy switching of film. I can only hope that this is changed in the future. 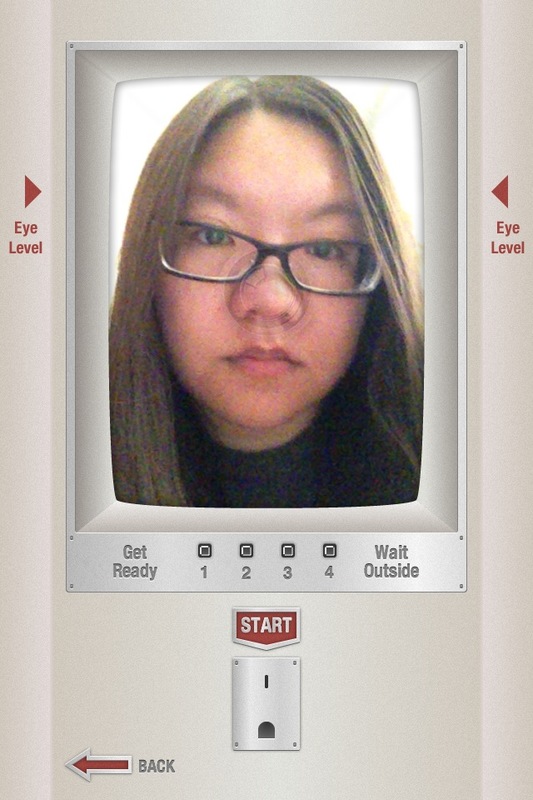 Since Photoautomat is free, and the competition are paid apps, expect to see some ads. 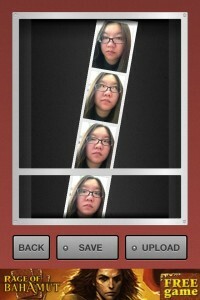 Fortunately, they only appear after a photo strip is done, so it won’t interfere with the actual photo-taking process.